We help you decide what you want to do in the future! Our narrative career coaching programme will help you to clarify what you want and to develop a plan on how to get there. You may want to decide what profession or career to follow before or after university, review the career path you have taken thus far, reinvent yourself, or improve your work-life balance. We help you discover your personal brand and communicate it effectively. 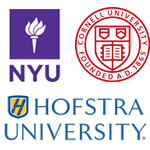 We help you get into top Universities Worldwide! Applying to a top program is a stressful process. You need to position yourself so you fit in with the school’s culture. We will work with you to identify the stories that differentiate you from other candidates and showcase your strengths. We will then incorporate these into your essays, personal statements, and other documents, using the arguments and language required to achieve acceptance. We help you get the job of your dreams! We have developed a tailored, flexible one-stop process to help you find the job of your dreams in Greece or abroad. Whether you are a new graduate looking for your first job after university or an experienced professional, we will work with you on all aspects of career management and the job search process. We will help you create targeted CVs, LinkedIn profile, cover letters that will land you the job of your dreams. We help you to manage and develop your Career! This is a continuous process ensuring others know about you and your value. Our career management coaching programme helps you deal effectively with specific issues like work conflicts, demotivation etc. We also conduct ‘strengths profile coaching’ so you can recognize your strengths and increase your energy and satisfaction at work. We also work with you to create and commnunicate your authentic personal brand through social media. Hello and welcome to MKCAREER CHOICES. I help students, graduates and professionals to identify their career and educational goals and develop a plan to achieve them. With experience from holding senior HR & Recruitment roles in top international companies and using career coaching mentoring and seminar facilitation, I help my clients discover and communicate their authentic personal brand and increase their career trajectory. While working together you will share your stories and experiences with me and we will pull out your strengths and desires and clarify what͛s most important to you and what you want before delving into career options exploration, job search help or admissions counselling. We will then develop a comprehensive strategy on how to achieve specific education and career goals. We then use and revamp your stories to create an authentic personal brand and depending on your needs communicate it effectively through social media, undergraduate and graduate applications, job applications and/or interviews. I develop long-term relationships with my clients so I will be available to support you to manage your career and deal with any career or work related issues going forward. You can learn more about how we can work together by booking a 15 minutes appointment with me here. I have created the DREAM career coaching model to offer one-stop career coaching & management, job search, and admissions counseling services. I build close and long-term relationships with clients while helping them to deal with career transitions at various points in their lives (school to university, university to first job, first job to meaningfully work, postgraduate studies, career change/return etc.) We work together to build the skills and knowledge that will enable you to independently deal with similar transitions in the future. My mission is to help people live fulfilling lives both in their career and personal life. You are not a set of strengths and skills. You are a whole person and your career touches your whole life. I will be honest and open with you regarding your options. I will always respect and honor your decisions as you have the final say in everything with do. A professor at university referred me to Maria because I was unsure where to start with my postgraduate application. Her approach was very thorough and broke down the process in clear succinct steps which we tackled one at a time. Although initially I was stressed about the whole thing, Maria made the process straightforward. She was supportive and encouraging throughout and helped me discover my hidden strengths and qualities that were important in my personal statement and application process. She thoroughly explained the career structures in the banking and financial sector and helped me clarify my career goals (which was really useful when writing the personal statement). She used questions to uncover stories that demonstrated my strengths and we worked together to illustrate them in my personal statement. She then used her excellent editing skills to make it shine. She also helped me prepare a professional CV which I now use in my job applications to financial, banking, and consulting international organisations. She is extremely knowledgeable about graduate careers and recruitment practices in the UK and is currently helping me with my graduate Job applications. A professor at university referred me to Maria because I was unsure where to start with my postgraduate application. Her approach was very thorough and broke down the process in clear succinct steps which we tackled one at a time. Although initially I was stressed about the whole thing, Maria made the process straightforward. She was supportive and encouraging throughout and helped me discover my hidden strengths and qualities that were important in my personal statement and application process. She thoroughly explained the career structures in the banking and financial sector and helped me clarify my career goals (which was really useful when writing the personal statement). She used questions to uncover stories that demonstrated my strengths and we worked together to illustrate them in my personal statement. She then used her excellent editing skills to make it shine. She also helped me prepare a professional CV which I now use in my job applications to financial, banking, and consulting international organisations. She is extremely knowledgeable about graduate careers and recruitment practices in the UK and is currently helping me with my graduate Job applications. I kept reading that “the graduate school application process can be quite stressful”, so I started working on my application two months before the application opening date. The schools that I applied to were some of the top business schools in Europe, where competition is really high. My English language skills are fairly good, so I thought that all I had to do was to spend some time reading materials about “how to write a good personal statement”. I was wrong. “Selling” yourself in a specified word limit is a hard, stressful, and time-consuming project. I didn’t like my personal statement, and I was really stressed because I wanted to apply early. I started talking to friends, and recent graduates, who had faced the same issue. It was then that I was introduced to Maria. I was so excited about the results that I even used her services after University, and during the job search process. She helped me with my jobs applications and with the interviews that came up in the next phases. I can recommend Maria to everyone who is serious about his/her education, and/or job search. No matter how good you are, you can always use some help to get things done, better and faster, especially if it’s something so important to you. 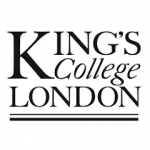 Α significant help, and clear-cut guidance during the stressful period of applications to graduate Law Schools in the UK. 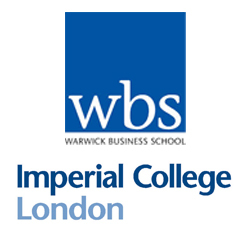 With Maria's advice and much needed support, I applied to London School of Economics, UCL, King's, Queen Mary and Warwick, and got accepted to all of them - I honestly couldn't choose! I finally decided to study at LSE. It was a life-changing experience and Maria definitely played a part in it. All of the doors seemed to be closed until I decided to contact MK Career Choices, as suggested to me by my friends. The cooperation was excellent and it resulted in being admitted to 6 out of the 20 first best US Law Schools. With high expert guidance from MK as well as preparation of the material needed for the applications, I made it through, although, based on my mediocre law school performance, I could have never imagined it. 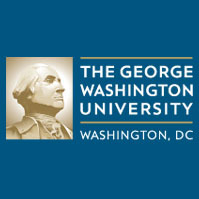 As a result, not only did I complete my masters with a high GPA but at the same time now, as we speak, my applications are being examined by the World Bank, the International Monetary Fund, and two international law firms in Brussels. I highly recommend it. Maria has helped me with my postgraduate applications for an MSc in Finance in the UK. As I had not taken the GMAT test, we focused on the two programmes that did not require the GMAT for entry and I was accepted to both Warwick Business School and Imperial College London. 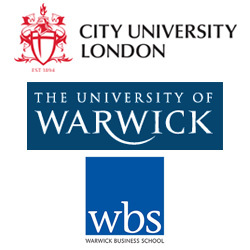 I am now completing my studies for an MSc in Finance at Warwick Business School and it is a very rewarding experience. Maria has been a great help in every step of the process and I recommend her services to anyone applying abroad. I just received my test results yesterday and I have been accepted to Wharton, Purdue, University of Illinois at Urbana-Champaign, Penn State University, University of Rochester, and City University of New York. I have also been waitlisted at Northwestern and Michigan. I am extremely satisfied and happy! I will call you in a week to talk to you in person. For the time being, I would like to thank you with all my heart for your precious help. I owe you a big part of my success! I wish you all the best and a million thanks! Talk to you in a couple of days! 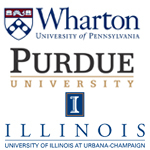 Maria, I just received my test results yesterday and I have been accepted to Wharton, Purdue, University of Illinois at Urbana-Champaign, Penn State University, University of Rochester, and City University of New York. I have also been waitlisted at Northwestern and Michigan. I am extremely satisfied and happy! I will call you in a week to talk to you in person. For the time being, I would like to thank you with all my heart for your precious help. I owe you a big part of my success! I wish you all the best and a million thanks! Talk to you in a couple of days! I will definitely recommend your service to all my friends and colleagues. Maria helped me with my applications to Communications/Marketing programmes in the UK. She really helped me in choosing the programmes and universities to apply to. She also helped me with writing my CV and personal statement and essays. We talked a lot about my previous experience and skills and she helped me include examples of my key achievements at university and work. She also explained the job market in media, marketing, and communications in the UK and I have a clear understanding of what I need to do to develop a career in marketing/communications. I have been made conditional offers from Media and Communications at City University, Warwick University MSc in Intercultural Communication for Business and the profession and Warwick Business School MSc (Business) Marketing. 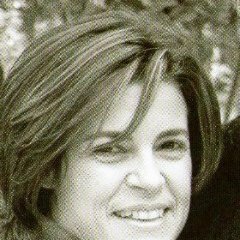 Maria is extremely knowledgeable about careers in international organisations and is a pleasure to work with. Maria helped me to complete my postgraduate application for UCL. I was surprised by her knowledge on engineering/urban planning careers, although she is not an engineer herself. She really helped me understand urban planning careers in the UK and the job market. She helped write an excellent personal statement, where we worked a lot in highlighting my key achievements at work and university. I highly recommend her. 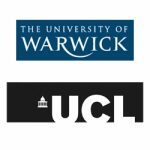 Maria helped me with my postgraduate application to UCL and Warwick University. When I finished the personal statement I was surprised at how much my personal statement had improved and, from struggling to find what to write with the help of Maria, I was able to find examples that demonstrated my entrepreneurial spirit, leadership, team working and organisation skills. She also helped me to write a professional CV. I really enjoyed working with Maria, discussing my past and clarifying and putting on paper my future career plans. I just received an email from the University of Manchester offering me a place at the MSc programme of Advanced Engineering Materials, held by the Materials Science Centre. The work we did together was really valuable and to the point! Since UoM was my first choice, I can say without any doubt or hesitation that our cooperation was very successful! Thank you so much for your help. I will definitely recommend your service to friends and family. I just received an email from the University of Manchester offering me a place at the MSc programme of Advanced Engineering Materials, held by the Materials Science Centre. The work we did together was really valuable and to the point! Since UoM was my first choice, I can say without any doubt or hesitation that our cooperation was very successful! Thank you so much for your help. I will definitely recommend your service to friends and family. My first cooperation with Maria started three years ago when I needed her help to complete my UCAS application. The results speak for themselves; I got accepted to 4 out of 5 universities I applied to including Warwick University and King’s College London. Now that I am in the final year of my studies Maria was the obvious person to go to, to help me with my postgraduate applications and my applications to graduate schemes in the UK. I highly recommend Maria to anyone wanting to find a graduate job in the UK or applying for an undergraduate or post graduate course. Maria helped me with my application for the MSc Politics and Government in the European Union at LSE. She was extremely helpful both in helping me identify the programme that best suited me but also with writing the personal statement. She really pushed me to go the extra mile and, once we finished our work together, the final draft had no comparison to the first one. After studying at LSE for a year I realised that Maria had an understanding of how scholars think and the way they want written information to be presented to them. I am now living in London and working with Maria to find a job in Public Affairs. She gave me a clear understanding of the job market in the UK/Europe. We have identified the specialised agencies that deal with public affairs positions, the networking events I should attend, and the relevant job search boards/job advertisements. We have written together an excellent CV, cover letter, and LinkedIn profile. We are now in the process of completing job applications and her help again has been invaluable. She has a clear understanding of how recruiters think and the recruitment process. We have developed a plan on the steps that I need to go through and having weekly meetings with her makes me stick to it. We also completed the interview training and I am now confident that I will perform my best during the interview. Maria has a clear plan both in her postgraduate applications and job search programme and I feel very supported and confident in this challenging period. Maria helped me in all the stages of my application for an administrative position at an embassy I work in. She helped me write a professional cover letter and CV. I had previously applied for an embassy position but was not successful at the interview stage. After two hours of training with Maria I felt really confident with how to answer interview questions. She broke the process down into several steps and worked with me to prepare structured answers to competency-based questions. We also did a role play, after which she gave me valuable feedback. After this I was offered the role at the embassy. I strongly recommend her service to anyone looking to secure a job. After the recent changes in the Greek National Health System I decided to search for a job in the NHS but I did not know where to start. I was referred to Maria by another colleague and she immediately gained my trust. She managed the GMC application process both in terms of helping me complete the GMC online application and gathering and translating the documents. After getting my GMC registration Maria explained the recruitment process in the NHS and we selected together the first job to apply to. Maria helped me write an excellent CV and NHS application form and I was selected for an interview even though we had only completed one application. She also advised me on how to develop the skills necessary for a consultant job abroad (such as leadership, audits, etc). I have now planned my trip to the UK for the interview and Maria has provided me with a step-by-step plan on how to prepare for the interview (what documents to read, what I need to know regarding the NHS and where to find relevant information, as well as a list of hot topics). She has also conducted a one day interview training with me where we covered together the most important topics on the NHS and interview techniques. She has taught me how to ‘guess’ the interview questions from the job descriptions and given me models and simple structures to answer interview questions. I feel well prepared and confident for the interview. She also worked with a recruitment agency and has arranged a couple of meetings with recruitment agencies for me during my trip to the UK for the interview. I could not have done it without her help. After the recent changes in the Greek National Health System I decided to search for a job in the NHS but I did not know where to start. I was referred to Maria by another colleague and she immediately gained my trust. She managed the GMC application process both in terms of helping me complete the GMC online application and gathering and translating the documents. After getting my GMC registration Maria explained the recruitment process in the NHS and we selected together the first job to apply to. Maria helped me write an excellent CV and NHS application form and I was selected for an interview even though we had only completed one application. She also advised me on how to develop the skills necessary for a consultant job abroad (such as leadership, audits, etc). I have now planned my trip to the UK for the interview and Maria has provided me with a step-by-step plan on how to prepare for the interview (what documents to read, what I need to know regarding the NHS and where to find relevant information, as well as a list of hot topics). She has also conducted a one day interview training with me where we covered together the most important topics on the NHS and interview techniques. She has taught me how to ‘guess’ the interview questions from the job descriptions and given me models and simple structures to answer interview questions. I feel well prepared and confident for the interview. She also worked with a recruitment agency and has arranged a couple of meetings with recruitment agencies for me during my trip to the UK for the interview. I could not have done it without her help. Maria helped me with my application for a Paediatrics specialty position at Imperial College Healthcare NHS Trust. Within a very short time framework (we had two days to prepare for the interview), Maria prepared me for an interview through a six-hour Skype interview training session. After a brief explanation of the interview process in the NHS, she explained how to anticipate the interview questions based on the job description and gave me some frameworks and formulas to follow. What helped me the most was the mock interview session where Maria and I conducted a 45- minute interview. She then gave me feedback for my answers and we worked together on how to improve my answers. 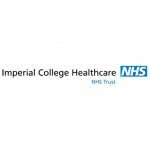 The interview process at Imperial (which was my first interview at a hospital abroad) was straightforward and there was not even one question that surprised me, I was prepared and able to answer all questions confidently. After one week I was offered a permanent place at the hospital. Maria is an excellent interviewer herself and delivers a clear and to the point interview training. This investment was really worth every penny spent. Maria helped me with my application for a Paediatrics specialty position at Imperial College Healthcare NHS Trust. Within a very short time framework (we had two days to prepare for the interview), Maria prepared me for an interview through a six-hour Skype interview training session. After a brief explanation of the interview process in the NHS, she explained how to anticipate the interview questions based on the job description and gave me some frameworks and formulas to follow. What helped me the most was the mock interview session where Maria and I conducted a 45- minute interview. She then gave me feedback for my answers and we worked together on how to improve my answers. 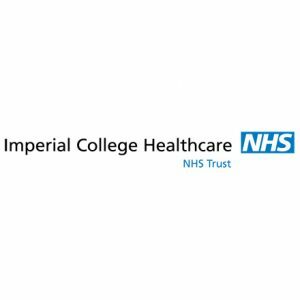 The interview process at Imperial (which was my first interview at a hospital abroad) was straightforward and there was not even one question that surprised me, I was prepared and able to answer all questions confidently. After one week I was offered a permanent place at the hospital. Maria is an excellent interviewer herself and delivers a clear and to the point interview training. This investment was really worth every penny spent. I could not be happier with my experience. Maria transformed this stressful process into a clear process that had to be followed, step by step, and considerably reduced the time I devoted to this process making my work more efficient and freeing up time to devote to my studies. She helped me during every step of the process from finding the right programme (given my profile – grades, interests, and requirements) to writing winning essays. The results spoke for themselves: I was made a conditional offer by 5 out of the 5 UK universities to which I applied (including Bath-Civil Engineering) and I was accepted by 9 out of the 12 schools to which I applied in the US, including the very selective Lehigh University. I highly recommend MK Career Choices to anyone applying abroad. I could not be happier with my experience. Maria transformed this stressful process into a clear process that had to be followed, step by step, and considerably reduced the time I devoted to this process making my work more efficient and freeing up time to devote to my studies. She helped me during every step of the process from finding the right programme (given my profile – grades, interests, and requirements) to writing winning essays. The results spoke for themselves: I was made a conditional offer by 5 out of the 5 UK universities to which I applied (including Bath-Civil Engineering) and I was accepted by 9 out of the 12 schools to which I applied in the US, including the very selective Lehigh University. I highly recommend MK Career Choices to anyone applying abroad. Maria helped me with my applications for undergraduate Maths programmes in the UK. Although I was sitting the National Hellenic exams, I wanted to have the option of studying abroad if I did not gain admission to the National University of Athens. Maria helped me throughout the application process, especially with my personal statement. She really helped me to clarify why I want to study my course and why the university should choose me and be able to support this with arguments from my own experience, skills, and studies. I was made a conditional offer by all the universities to which I applied, including Durham and Manchester University. I highly recommend MK Career Choices for anyone who wants to study abroad. Finishing my undergraduate studies in English Literature at the National and Kapodistrian University of Athens, I was not clear about what my next career step should be. I was wondering whether I should pursue a masters degree, or not, and in which area. Finding work in Greece was also a challenge. 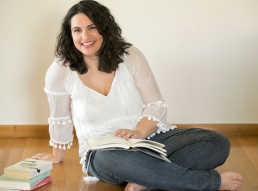 I worked with Maria to first clarify my goals and identify what I wanted to do. We explored a number of career paths including marketing, human resources, and becoming a teacher abroad. We are now working together on submitting my UCAS application for finding a training job as a teacher. Maria is not only an excellent coach, but also very experienced with recruitment practices in the UK. We have written an outstanding CV and application together, and we are waiting for the results. After working for 10 years in the family hotel business I wanted to find something else to do. I knew Maria because she had successfully helped one of my children with her university applications. We first started working together to establish what my next career step would be. Maria listened carefully to my points and helped me clarify my values, motivations, and strengths. This process helped me clarify what my ideal next job would be. In my case, this was working as an officer in an educational setting. We identified the skills necessary for those roles and identified two areas I required further training to be successful in my applications. Maria then worked with me to prepare a successful CV, application, cover letter, and reference for an officer role at the Institute of Education (the world’s leading centre for education and applied social science). I was invited for an interview in the UK and, although I had not done a competency interview before, Maria was really skilled in teaching me how to prepare for the interview, use the job description to anticipate the questions, and, more importantly, how to answer these questions effectively. I was very well prepared at the interview and was able to answer all questions effectively. While waiting for an answer from the Institution of Education, I was offered a job in an education institution here in Greece and decided to stay and work here. Maria has excellent coaching skills and is very knowledgeable about the different career paths and recruitment practices in the UK. I strongly recommend her to anyone wanting to identify their next career step, pursue postgraduate studies, or apply for jobs in the UK. After working for 10 years in the family hotel business I wanted to find something else to do. I knew Maria because she had successfully helped one of my children with her university applications. We first started working together to establish what my next career step would be. Maria listened carefully to my points and helped me clarify my values, motivations, and strengths. This process helped me clarify what my ideal next job would be. In my case, this was working as an officer in an educational setting. We identified the skills necessary for those roles and identified two areas I required further training to be successful in my applications. Maria then worked with me to prepare a successful CV, application, cover letter, and reference for an officer role at the Institute of Education (the world’s leading centre for education and applied social science). I was invited for an interview in the UK and, although I had not done a competency interview before, Maria was really skilled in teaching me how to prepare for the interview, use the job description to anticipate the questions, and, more importantly, how to answer these questions effectively. I was very well prepared at the interview and was able to answer all questions effectively. While waiting for an answer from the Institution of Education, I was offered a job in an education institution here in Greece and decided to stay and work here. Maria has excellent coaching skills and is very knowledgeable about the different career paths and recruitment practices in the UK. I strongly recommend her to anyone wanting to identify their next career step, pursue postgraduate studies, or apply for jobs in the UK. Just wanted to say thanks for all your help and guidance. Working with you has been very insightful and rewarding. I have gained a clear insight of my strengths and weaknesses, clarified career goals, and I can now focus on what I want in life. I feel I have a realistic plan and the tools to achieve my career goals. Maria, Just wanted to say thanks for all your help and guidance. Working with you has been very insightful and rewarding. I have gained a clear insight of my strengths and weaknesses, clarified career goals, and I can now focus on what I want in life. I feel I have a realistic plan and the tools to achieve my career goals. Thank you again for your help. Maria started helping me when I was looking to do an undergraduate degree in the United States. She was extremely helpful and supportive of me. Specifically, she helped me identify the right courses for me and write a professional CV and essays for my applications. With her help, I managed to get into one of my first choices. She later assisted me with applying for internships and jobs and also helped me find the best career path for me. I have since noticed a dramatic change in my writing and interview skills and achieved all of my goals so far. Her expertise and support played a key role in my success. I would strongly recommend her to everyone! Maria started helping me when I was looking to do an undergraduate degree in the United States. She was extremely helpful and supportive of me. Specifically, she helped me identify the right courses for me and write a professional CV and essays for my applications. With her help, I managed to get into one of my first choices. She later assisted me with applying for internships and jobs and also helped me find the best career path for me. I have since noticed a dramatic change in my writing and interview skills and achieved all of my goals so far. Her expertise and support played a key role in my success. I would strongly recommend her to everyone! I met Maria during my interview at Cambridge University Press and after my recruitment at the Press there were multiple occasions when I interacted with her while she held an HR officer role in the same organisation. Maria stands out for her personal and professional integrity. She is a very insightful, thorough, reliable and sets high quality standards in everything that she does. Her unlimited enthusiasm, determination and excellent communication skills make her a great team player and a superb catalyst in bringing people together, solving problems and delivering successful outcomes. I met Maria when I was an undergraduate student exploring the possibility of pursuing a Master’s in Finance degree abroad. Maria made the process of applying and getting admitted at a leading institution (LSE – success rate circa 4%) very clear and provided valuable advice throughout. Her approach was very thorough and broke down the process in clear succinct steps. She reviewed my CV and personal statement and her comments made it stronger and more concise. More importantly, I had next to me a person experienced with the process, who cared, and that made me feel more at ease. Since then, I have recommended Maria to a number of friends. They all had a very positive experience and are certain that Maria made a difference in getting admitted to their university of choice. They all agree that Maria provided concrete and constructive criticism and advice, was always frank and her advice strengthen their applications. Maria was a great help in finding a University for my Master's degree. Moreover, her help on the application procedure as well as the preparation for the interview played a really important role on succeeding in my first choice !!! Having seen the results I strongly recommend her to all of you. “Maria helped me with my postgraduate application to UCL and Warwick University- both were successful. When I finished the personal statement I was surprised how much my personal statement had improved and from struggling to find what to write with the help of Maria I was able to find examples that demonstrated my entrepreneurial spirit, leadership, team working and organisation skills. She also helped me to write a professional CV. I really enjoyed working with Maria, discussing about my past and clarifying and putting in paper my future career plans. 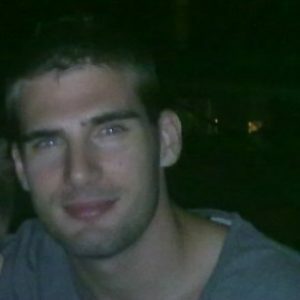 Ilias Makropoulos-Lalaounis, S&P Broker at Intermodal Shipbrokers Co.